Hello, I'm Adrianne. Welcome to my blog. I live in Wellington, New Zealand (it might be famously windy, but you really can't beat Wellington on a good day). By day, I am a lawyer, and in my spare time, I quilt. I live with my husband, my daughter, and my two little devil cats, Ivy and Ralph. Some lawyer words (I can't resist): the views expressed in this blog are my personal opinions and not those of my employer. You may use images from this blog but please acknowledge their source and provide a link back to my blog or the relevant post. I hope you enjoy looking around! 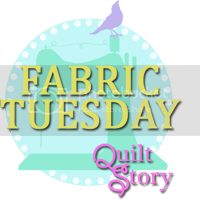 Just found your blog on Quilting Bloggers and wondered if you were from windy Wellington when I read your blog name. Hi from Upper Hutt! Nice to see professional ladies can lead a creative life as well. I am a family doctor and recently learned to quilt, and LOVE it. 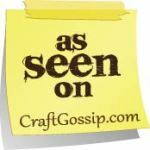 Your blog is great inspiration. Thanks. Hi Adrienne, fellow Wellington guild member here - found you by accident! Congrats on the Fat Quarterly publication. I'm based in Wellington and just done the top of a quilt. Now wondering how I go about fixing the batting and the backing to the top using just a domestic sewing machine. It's a large queen! Any tips on where I can find a long arm machine to hire or doing it on the domestic? Rather terrified I am going to mess the whole thing up. 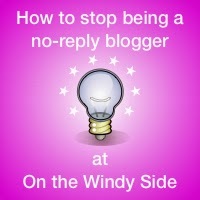 Hi Caroline - you are a no-reply blogger so I can't reply by email like I normally would. Congratulations on your first quilt top! If you want someone to quilt it for you, I have had Sue Burnett quilt several quilts for me and have always been very pleased with her work. Her website is http://www.suebsquilting.co.nz. I'm not aware of anyone in Wellington who will hire our their long-arm machine for you to use - if you find someone, please let me know! If you want to do this quilting yourself, there are HEAPS on tutorials and tips out there on preparing a quilt for quilting (basting) and doing the quilting itself. It's totally achievable to quilt a large queen size quilt on a domestic machine, but I would not recommend you quilt something that large as your first attempt at quilting. Maybe make another (smaller, like baby sized) quilt top and quilt that first! Hope that helps! Hello Adrienne - it is such a pleasure to read your blog as I am a keen quilter in the UK and my daughter has moved to NZ (Whitby near Wellington). Best wishes from a cold and windy Northern Ireland. I just found your blog wandering around on the web. I am a new quilter having recently had to re-invent myself after 30 years of marriage and kids. Now I live with beautiful Bernese Mountain Dogs and 2 cats. I sew for sanity and love shopping for fabric. I enjoy cooking, reading, travel and am an avid gardner - but I HATE snails too. I followed you on bloglovin! I found your blog through another blog that I follow, "What Comes Next?". 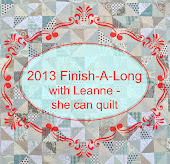 I plan to participate in the Finish-along. Thanks for all the incentives. Thank you for The Cat words of wisdom! I like your quilts, too. Greetings from the other side of the globe! Great blog. Have been wondering (forever) whether to begin a blog or whether Instagram would be a better option. Any advice ?? I have enjoyed your blog and would like to participate in the Q4 finishes but am not very computer literate and will have to have a grandchild help me. don't have a blog but do have facebook. 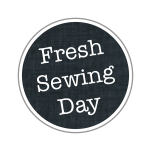 Thanks for sharing your beautiful stitches.